We proudly service the entire state of Oklahoma! We will work with you to figure out which shelter will work best for your family. Whether it is a safe room, outside concrete shelter or an underground garage shelter, we have got you covered. The complete installation process only takes a half a day in most cases and is completely dust free! 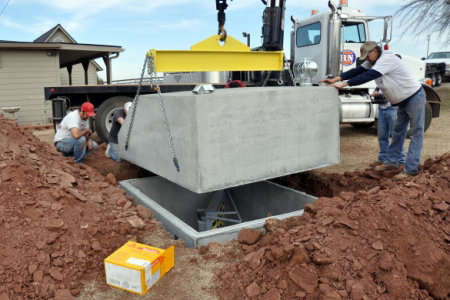 Our Oklahoma storm shelters are tested by Texas Tech University and are meet / exceed FEMA standards. 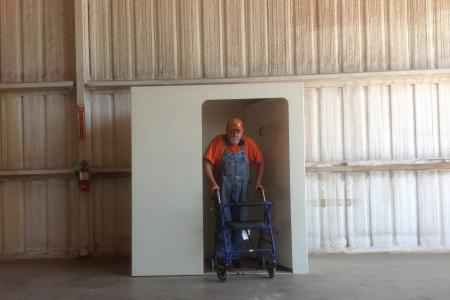 Take a look at the video below for more information about our Oklahoma safe rooms and underground shelters. When it comes to tornados in Oklahoma, do you have a safe place for your family? 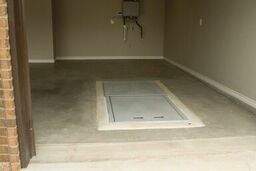 Family owned and operated Ground Zero Storm Shelters has the answer! In-ground steel shelters professionally installed in the garage of your home! See what some our customers have said. Call us today and let our family help protect yours!